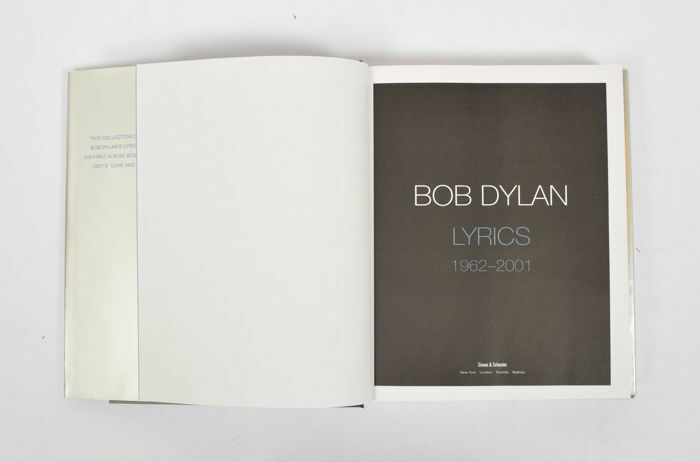 (1) Bob Dylan: Lyrics 1962-2001. New York, Simon & Schuster, 2004. VI,610 pp. 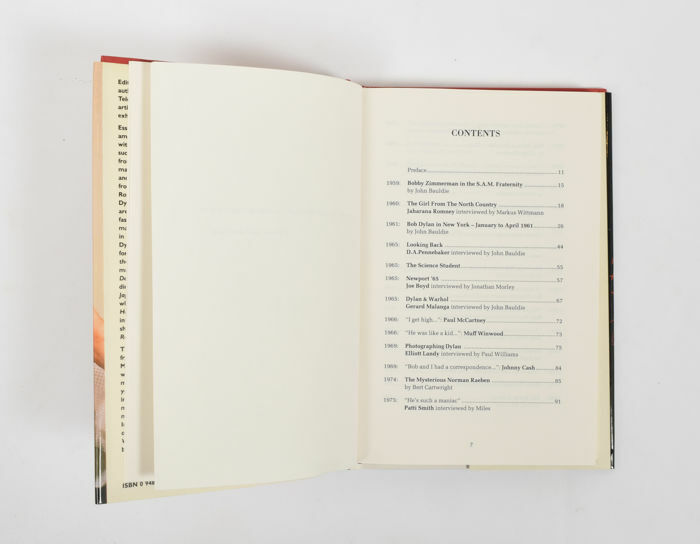 Hardcover with dust jacket, 26 x 21 cm. 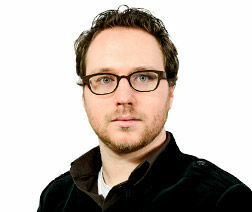 (2) Wanted Man: In search of Bob Dylan. Edited by John Bauldie. London, Black Spring Press, 1990. 224 pp. 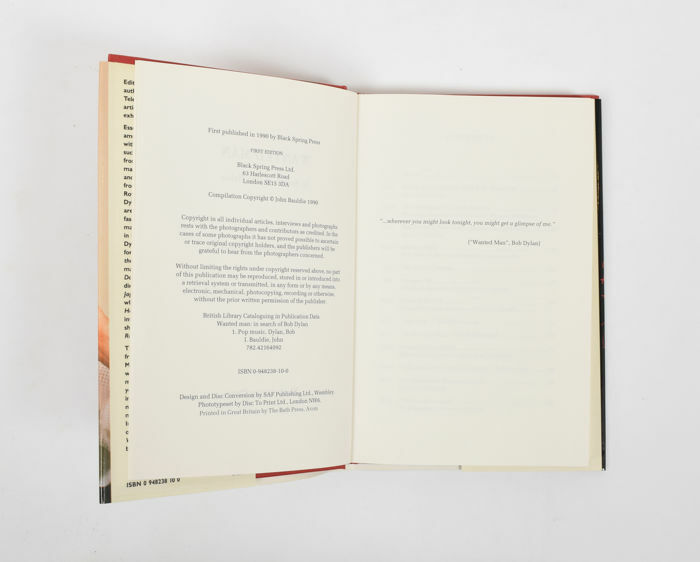 Hardcover with dust jacket, 24 x 16 cm. 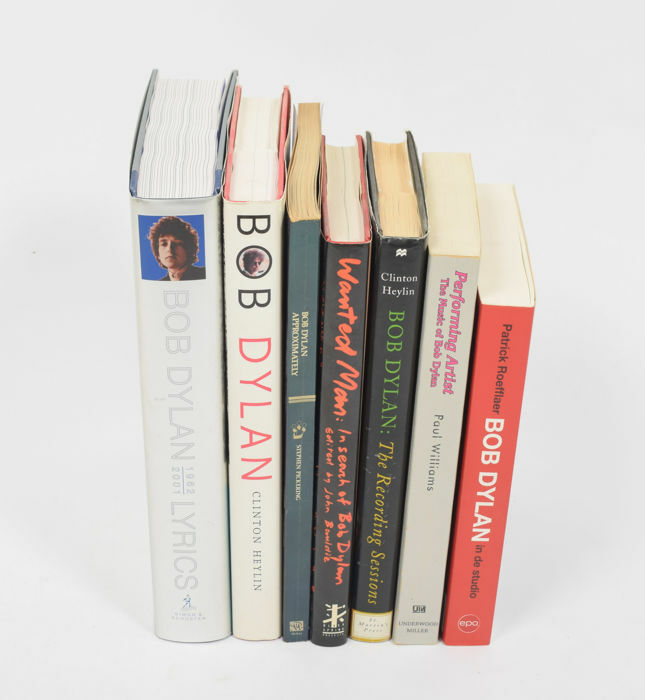 (3) Bob Dylan: The Recording Sessions 1960-1994. 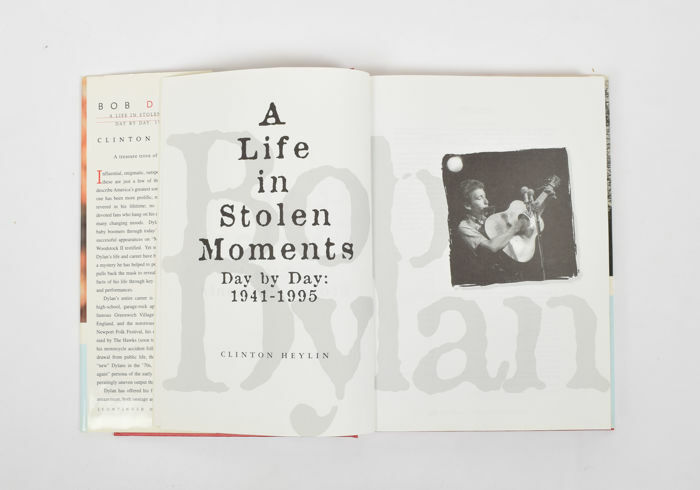 Clinton Heylin. New York, St. Martin's Press, 1995. 233 pp. 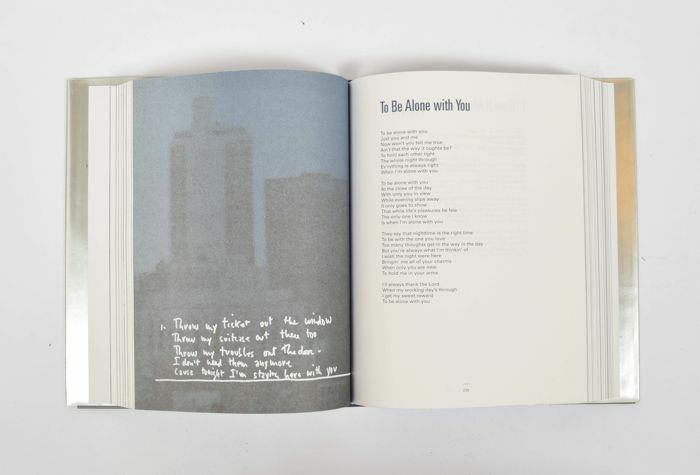 Hardcover with dust jacket, 24 x 16 cm. 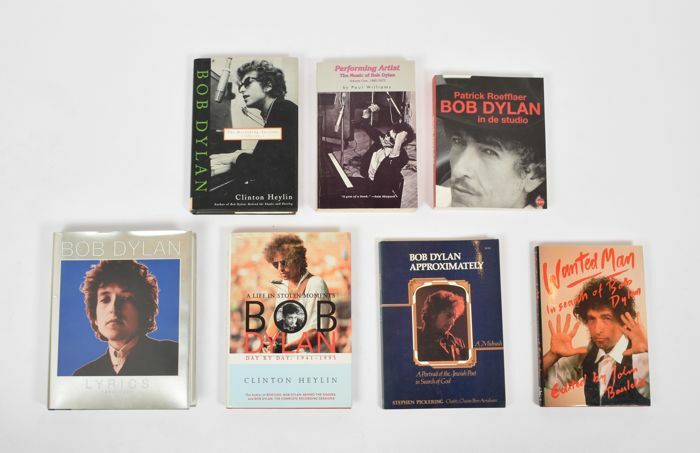 (4) Bob Dylan: A Life in Stolen Moments, Day by Day 1941-1995. 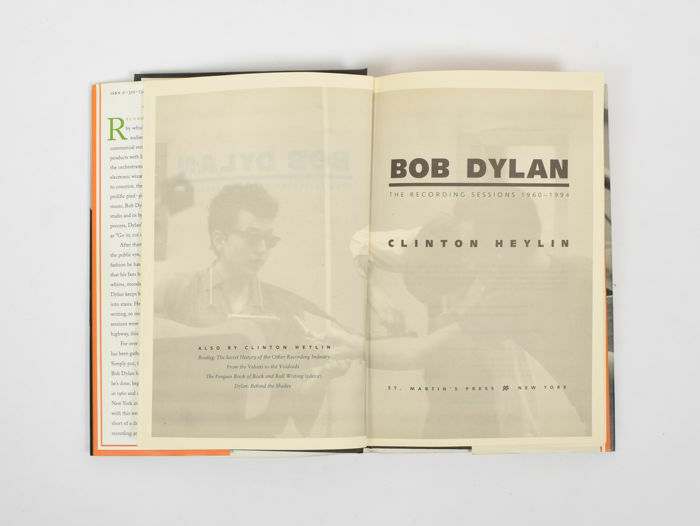 Clinton Heylin. Heylin, 1996. 403 pp. 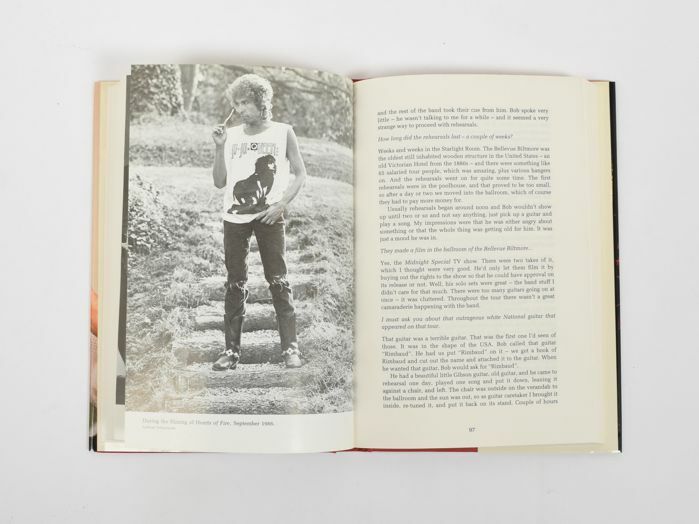 Hardcover with dust jacket, 26 x 18 cm. 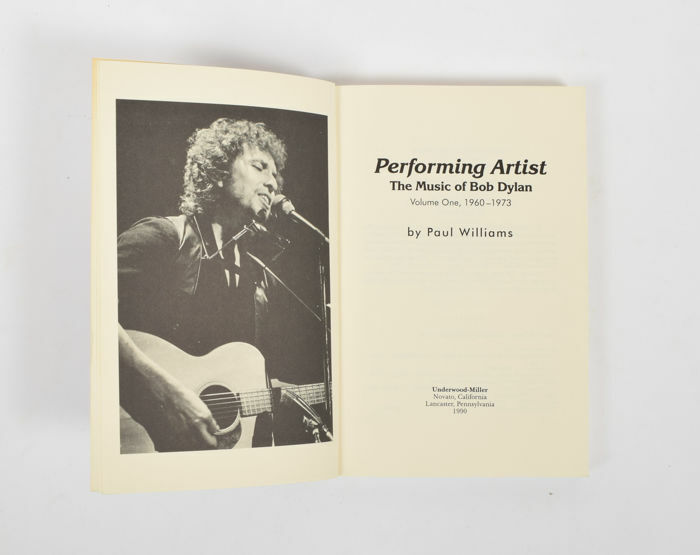 (5) Performing Artist: The Music of Bob Dylan Volume One, 1960-1973. Paul Williams. Novato (California), Underwood-Miller, 1990. 310 pp. 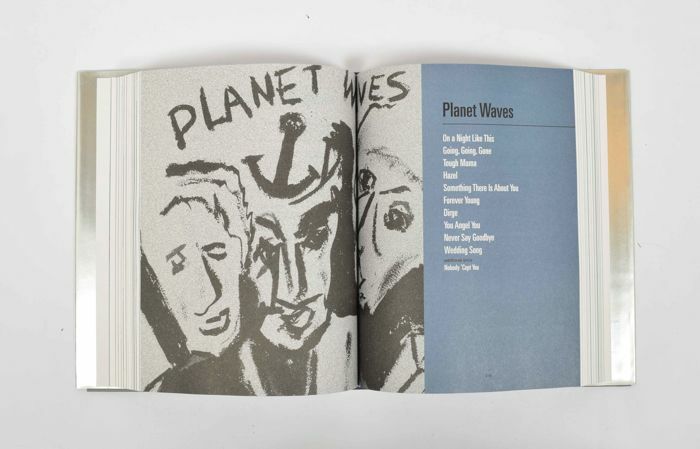 Softcover, 23 x 15.5 cm. 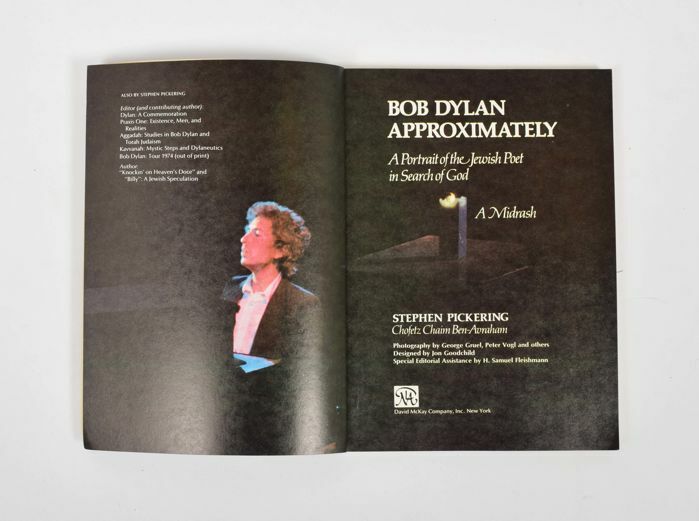 (6) Bob Dylan Approximately: A Portrait of the Jewish Poet in Search of God. A Midrash. Stephen Pickering. New York, David McKay, 1975. 204 pp. 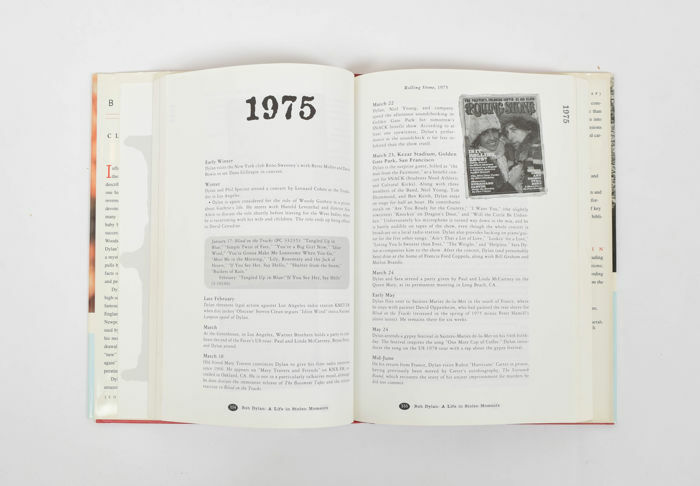 Softcover, 25 x 18 cm. 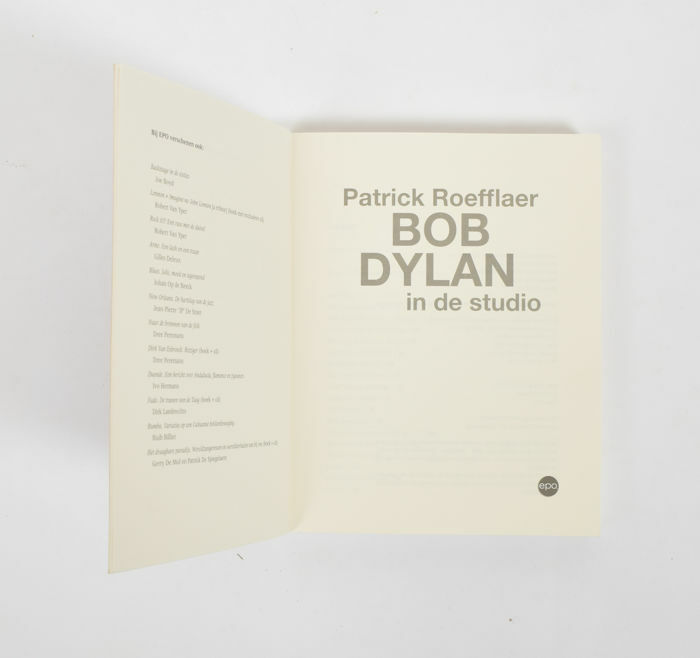 (7) Bob Dylan in de studio. Patrick Roefflaer. Berchem, EPO, 2010. 339 pp. 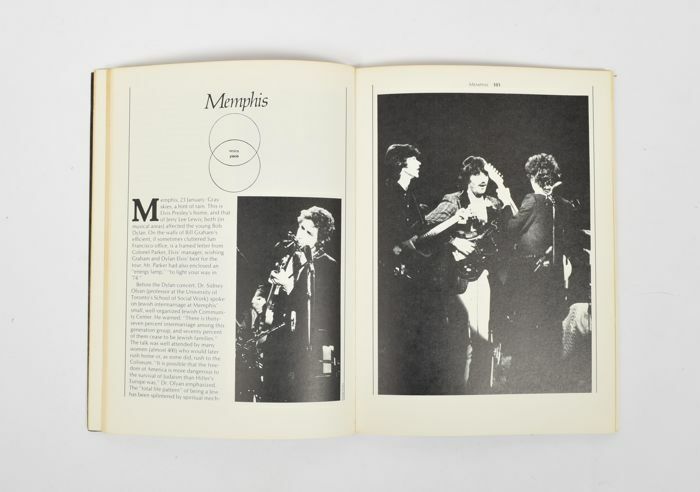 Softcover, 21 x 17 cm.